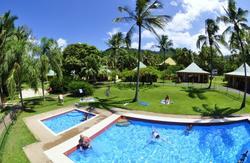 Magnums is an over 18 years only budget holiday retreat in the heart of the beautiful Whitsundays. Our Reception is open from 7.00am to 9:00 pm - check in is available between 11.00am and 8.30pm. Come and discover Magnums you will be surprised!